PEGAVISION was founded in 2009, a joint venture of Pegatron and Kinsus, focusing on research-and-development, manufacturing, marketing of soft contact lenses and the medicaloptic devices. The outstanding management team of PEGAVISION, with original high-tech background, aim to pursue versatile growth and business continuity. 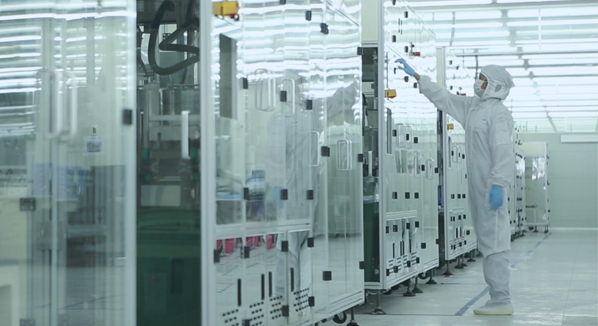 Strong R&D teams self-develop automation production procedures and lines. The production processes from material input to finished product ouput are fully automated and central server controlled which sustain yield and quality stability. PEGAVISION are certified ISO13485, GMP, Japan FMA, Europe CE, Taiwan TFDA, China CFDA, US FDA, etc. 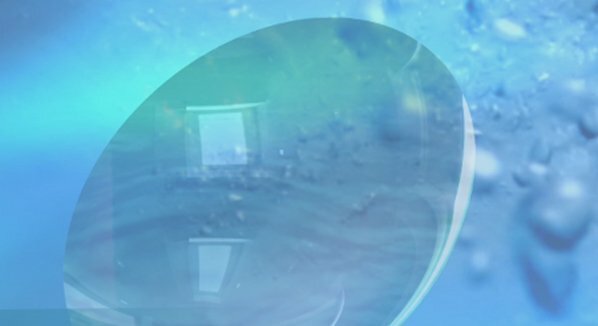 A total solution provider of soft contact lenses for esteemed OEM customers and wearers. PEGAVISION is a brand that thinks outside of the box, which always searches new ways to satisfy customers’ need for contact lenses. We believe that everyone is unique. We eager to see the uniqueness of everyone, and hope his/her uniqueness to be seen by everyone. Thus we hope that PEGAVISION contact lenses weares can feel the uniqueness from different aspects, the uniqueness that fulfills the requirement towards the desired life and beauty. They will also be confident and believers in themselves at the same time possess the generosity to appreciate the beauty of all kinds. The characteristic personality will be naturally understood at the first sight. A team with boldness to invest and innovate better lens material, solution, function, and manufacturing procedure without human touch on the lenses. Diversified product projects and innovative manufacturing process. Designer and multifunctional packaging. Highly anticipated products worth the wait. Wearing comfort and clear vision are the essentials. PEGAVISION not only complies with the Taiwan TFDA regulations, GMP and ISO, but also follows the quality standard of Japan PMDA, China CFDA, USA FDA, Europe CE. Pioneering in direct shop, membership system and repeat order APP. , PEGAVISION’s marketing models continue being optimized for the best of consumer behavior. Up to July 2017, 48 direct shops are located all over Taiwan. 30+ shops are closed to the MRT stations, which creates easy access for customers. Pioneering in direct shop, membership system and repeat order APP. PEGAVISION’s marketing models continue being optimized for the best of consumer behavior. Up to July 2017, 48 direct shops are located all over Taiwan. 30+ shops are closed to the MRT stations, which creates easy access for customers. The unique model of PEGAVISION direct shop provides optometry inspections, fitting instruction, and after-sales service for customers in most friendly and comfortable environment.. 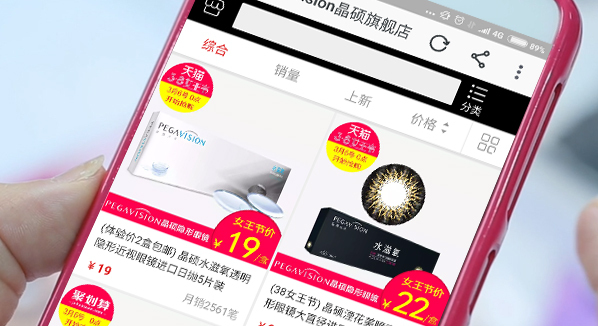 Since 2015, PEGAVISION’s special product lines are created andavailable in the top chain store Watsons all over Taiwan. 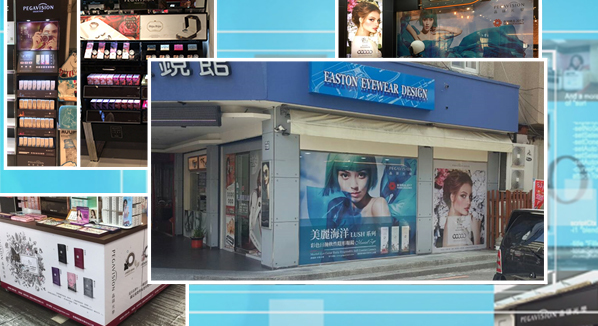 In 2016, same business model expands to the traditional channel of optical stores, further enlarged the territory of PEGAVISION sales network. 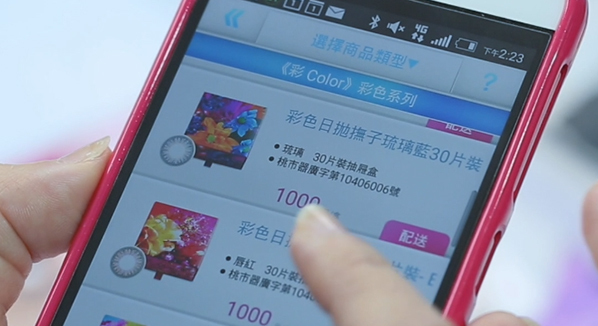 Online Flagship store - First contact-lens-only E-commercein China. 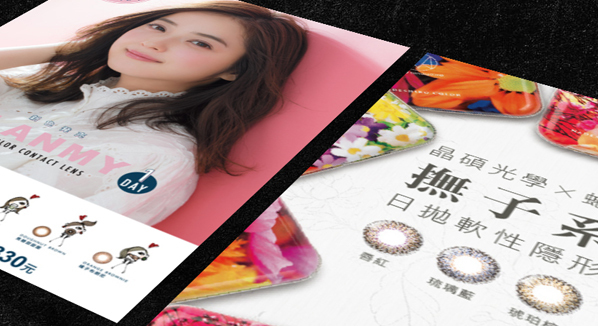 Entering China Market in 2015, PEGAVISION is the first company to run contact-lens-only flagship stores on-line where certify the genuine contact lens products of PEGAVISION.